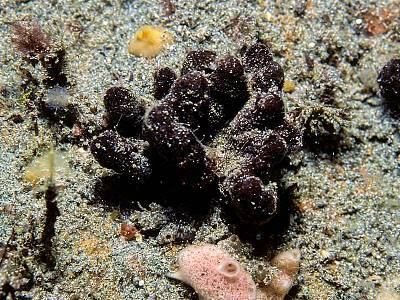 Description: A branching-erect, dark brown coloured sponge. The branching is typically irregular, in all planes and rarely fused. 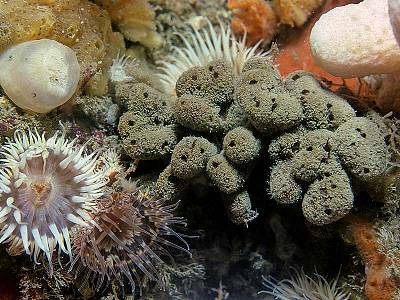 The surface of the sponge is bristly with hairs of uniform length which trap particles of silt. Habitat: Common on sublittoral rock and boulders from moderately exposed to sheltered sites with some current. Distribution: Recently known from scattered localities all around the British Isles but apparently absent from the North Sea. 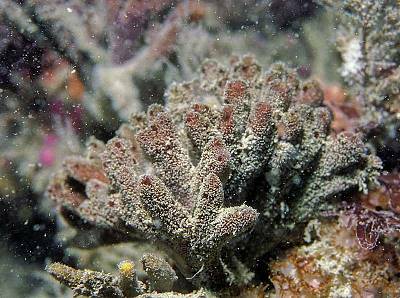 Similar Species: This is the only dark brown, branched, bristly sponge which is common, but beware other rarer Raspailia species whose live appearance is currently unknown. 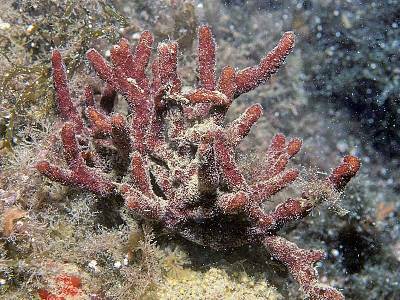 Branching-erect sponge with bristly surface. Picton, B.E. & Morrow, C.C. (2016). Raspailia ramosa (Montagu, 1818). [In] Encyclopedia of Marine Life of Britain and Ireland.